Ever since Google Calendar introduced Reminders on the web, there has been a great deal of confusion between tasks and reminders. Unfortunately it is not possible to display both tasks and reminder on the web. As a result, people are coming to the Calendar forum reporting they no longer see their tasks, or the other way around, they dont see how to create reminders. 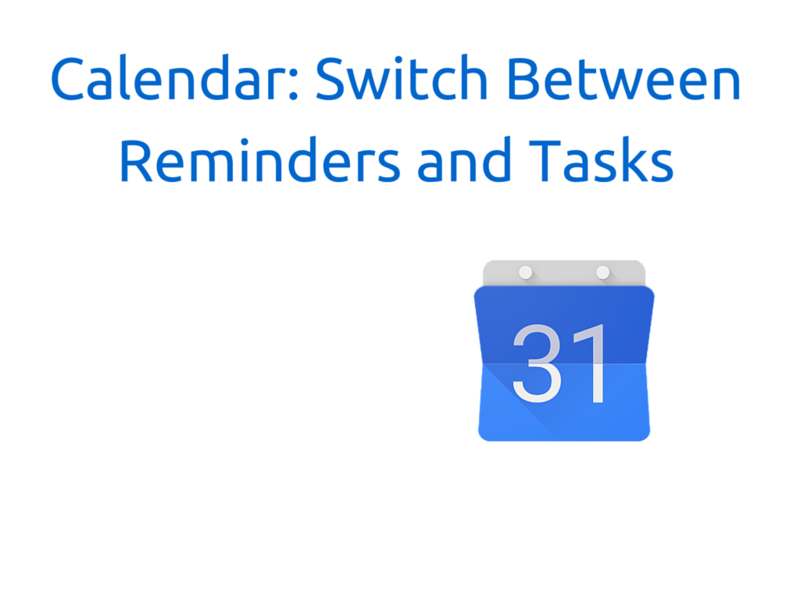 Here is a quick video that explains how you can change the view to see either the Reminders or the Tasks. It is unfortunate that we can't [yet] have both Tasks & Reminders shown at the same time!! Also unfortunate that third-party Android calendar apps can't display Reminders.